Joseph Jackson $20 Million Business Plan A fascinating insight into the world of Joseph Jackson. 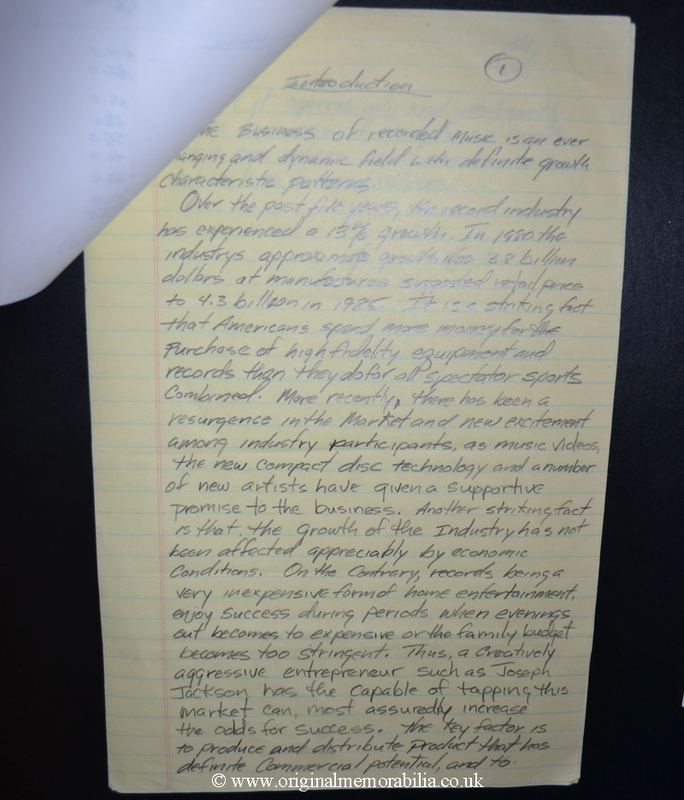 A hand written business plan written in pencil to start a brand new boutique record label. A fascinating insight into the world of Joseph Jackson. 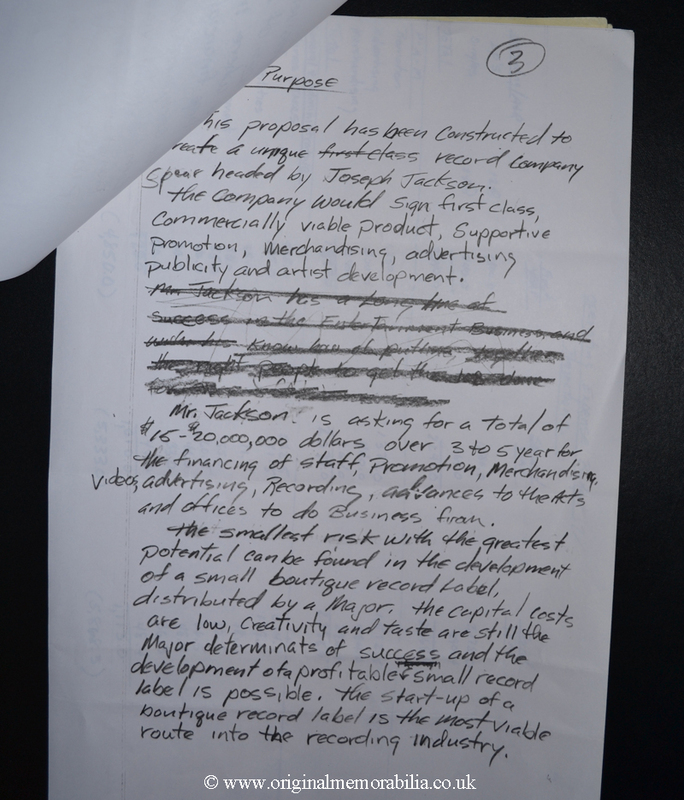 A hand written business plan written in pencil to start a brand new boutique record label. A fascinating insight into the world of Joseph Jackson. 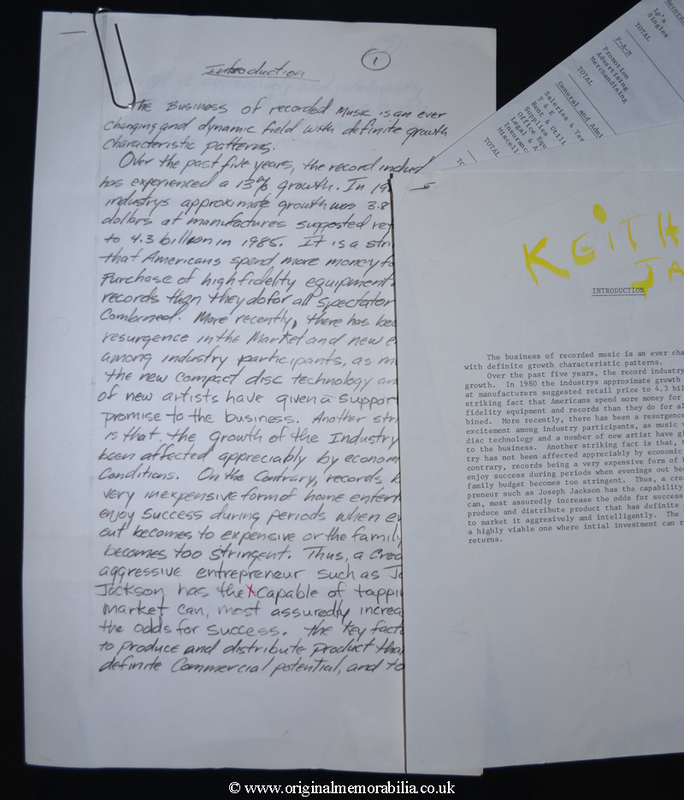 A hand written 4 page business plan written in pencil in bold in an unknown hand, to start a brand new boutique record label. Comes complete with detailed 3 year projections and a request for $15-$20 Million dollars of funding. 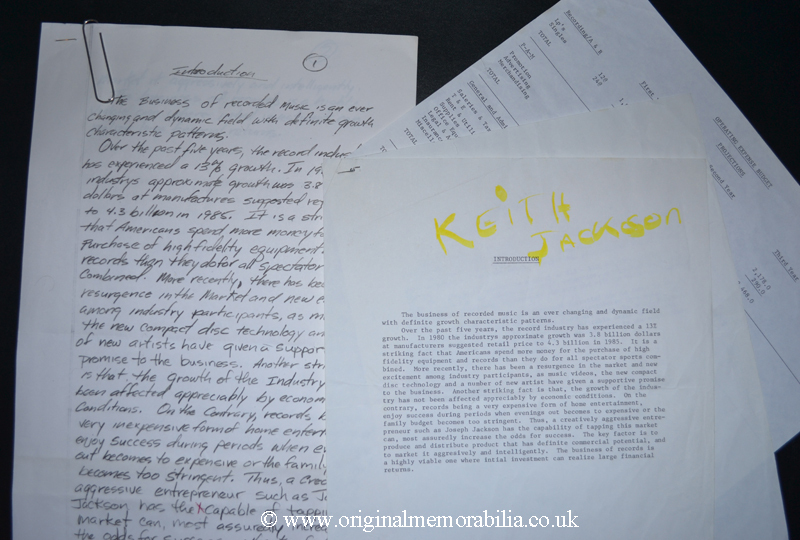 This document describes Mr Jackson as a creatively aggressive entrepreneur and comes with a photo copy of the handwritten document and a final typed copy inscribed KEITH JACKSON in yellow marker pen across the top of the front page. Keith Jackson is believed to be the 1st cousin of the Jackson family who grew up in Gary, Indiana. Very good condition with very light creasing. Size (approximate) A4 - 297mm x 210mm (11.6 x8.2").